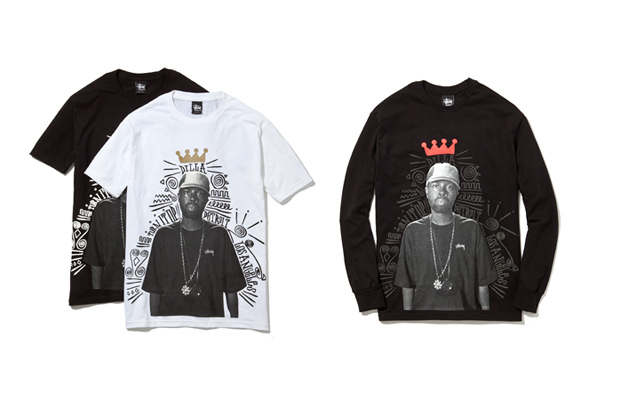 Every year Stussy always come correct with the J Dilla tribute tee, and this year’s edition is no different. The elements of the tee form a makeshift shrine design, surrounding an image of the Detroit producer with “Turn It Up,” “Detroit” and “Los Angeles,” in the Stussy signature tribal font. Setting the Stussy crown atop the legendary beatsmith’s head, the 2014 tribute tee pays a humbling yet appropriate homage to the one of hip-hop’s most iconic figureheads. Available in short-sleeve and long-sleeve shirts at Stussy Chapter stores worldwide.